So things have been quiet on this front, but that’s not because nothing’s been happening. Quite the contrary… things have been non-stop food lately! Among the planned Foodisms of the past year, some came up unexpectedly and I could not be happier to have been a part of all of them. One in particular that comes to mind is ‘The Kiosk’ at the co-working space betahaus barcelona. I had the pleasure of working alongside the ever talented Luzie Milena Weigelt. 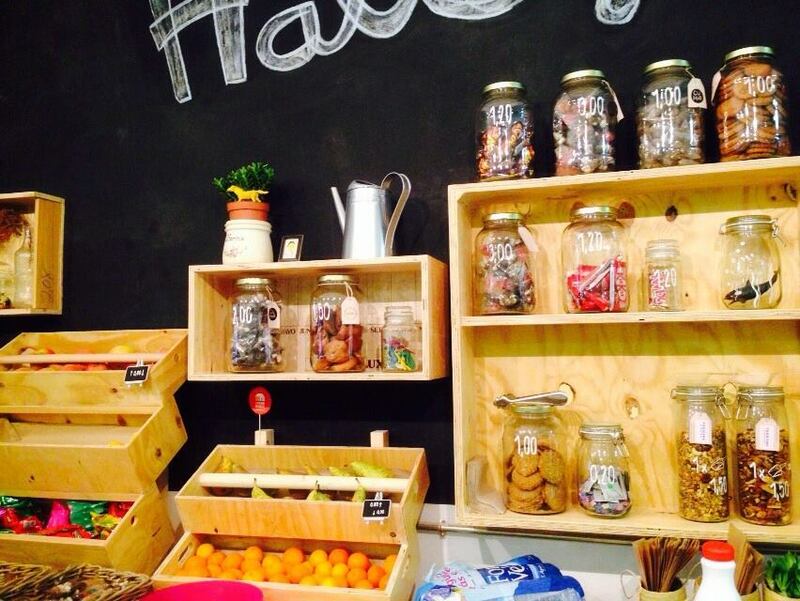 Luzie was the brains and eyes behind ‘The Kiosk’ design & concept while Foodisms curated and produced a selection of delicious & healthier alternatives to the usual suspects of ready-to-eat/on-the-go snacks on offer at the self-service space there. These included vegan biscuits, chocolate covered dragees, seasonal fruit & trail mixes being added with the idea being to support local agriculture & artisan-ship while supplying quality people with quality food to help fuel their hardworking brains. In 2 weeks flat, we managed to redefine their space and gave it a whole new meaning that I am happy to say was quite the success. Stay tuned for updates on its progress, for now have a great New Year’s Eve. A toast to the new year – may 2015 bring us leaps closer to eating better & eating right all the way through the food chain!